LG has done a terrible job in keeping its flagship smartphones up to date with the latest software released by Google. It can't even compete with Samsung, a company that traditionally pushes new Android OS update very late, but that's probably because the South Korean company started to focus on delivering faster updates to customers in the last year or so. Anyway, it appears that LG has finally published some information regarding its upcoming Android 9.0 Pie updates. Many aren't aware that LG has only updated one smartphone to Android 9.0 Pie, the G7 ThinQ, although there are quite a few others waiting to get the update. 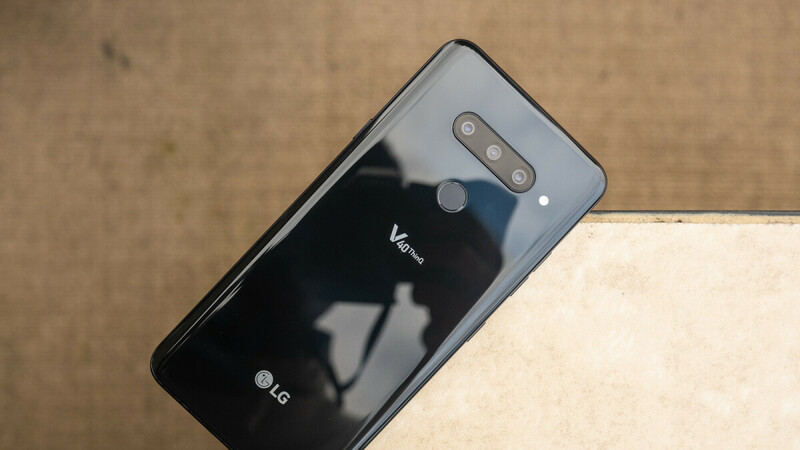 Earlier today, LG Korea published a list of phones that will receive the long-awaited Android 9.0 Pie update, which includes devices like V30, V35, and V40 ThinQ. Spotted by MyLGPhones, the list mentions that all three phones will be updated to Android 9.0 Pie in Q2 2019. And since the update schedule is meant for the South Korean market, we expect these updates to arrive a bit later in other regions like Europe and the United States. We'll keep you updated with any additional info we get on the matter, but, sadly, things aren't looking too well for the owners of these LG flagships. LG is bad in update! They are late and buggy as hell. As an LG V30 plus owner is must say I am really disapointed. On the other hand it was a valuable lesson what manufacturer to avoid next time. I gave up on LG a long time ago. Q will be out before Pie is available in the US. If you do a quick google search you will realize they promised the update for those 3 by Q1 2019. Q1 has ended and now they are probably getting a lot of flac so they say Q2. Just make it polished. That’s more important. I don't get all the doom and gloom about OS updates. Oreo already has everything I want and need in an OS and Pie isn't likely to add anything meaningful for me. Should it be better? Heck yeah. But it doesn't bother me one bit. Loving my V30 which has been snappy and fast and the battery life is still a beast. That's what matters to me. But cool that Pie will get here eventually.